We spend one-third of our lives sleeping. Therefore, how you sleep and the bed you sleep on can have a dramatic effect on the support of your body. When you sleep, you need to be aware of how your neck and spine are supported. There are many different types of beds on the market today, which can be very confusing for consumers. In our opinion, the best type of bed is the one that you try out and feel most comfortable using. Typically, a bed that is firm underneath, but with a softer top helps to provide support as well as be contoured to your body. If your mattress is old, then think about investing in a new one so that your neck and spine are supported well. How old? We recommend changing mattresses every 5-10 years, depending on usage. The general rule of thumb: if you feel like you’re sinking a little when you’re lying down, then it’s time to change mattresses. As for sleeping positions, the best positions to sleep in for your spine are on your back or sides. Avoid sleeping on your stomach since your spine ends up twisted, especially your neck. Over the hours of repetitive sleeping on your stomach, you can damage the joints of your spine and compress the nerves exiting your spine. Use a pillow to help support your body and take the weight of your legs off your spine. If you like to sleep on your back, place a pillow under the backs of your thighs and knees. This should place your knees in a slight, supported bend, which takes pressure off you lower back. If you sleep on your side, be sure to put a pillow between your knees. This helps keep the alignment of your spine and takes the pressure of your upper leg off the spine. 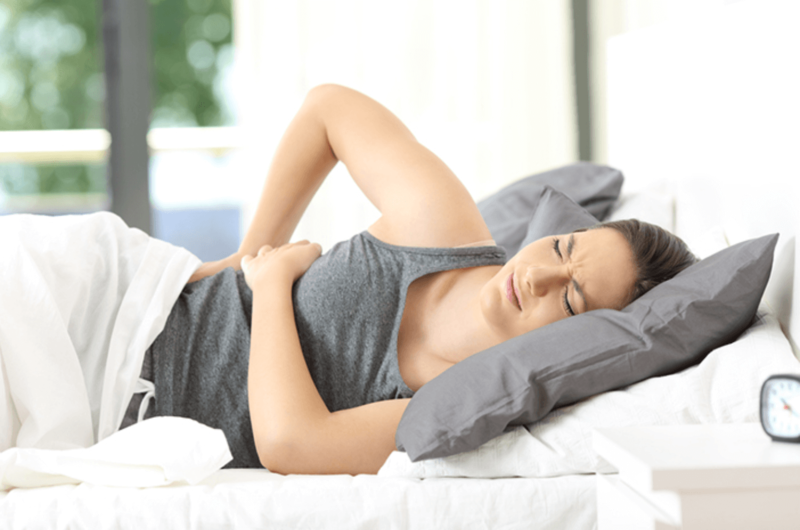 If you are still having trouble with back pain while sleeping, even after following these quick tips, it is probably an indication of a more serious issue. Our physical therapists at Emery Physical Therapy can show you exercises, stretches, and techniques to relieve your pain and prevent it from returning. Call at 847-786-2014 to connect with one of our therapists so that you can return to a more active, pain-free life!